Even if you have to stand on a chair to kiss a tall husband, he might make you happier. Happy wife, happy life, the saying goes. The onus of that cliche is always placed on the man, whose job it is to make his wife happy. However, you can make yourself a happy wife by marrying man who is taller than you. 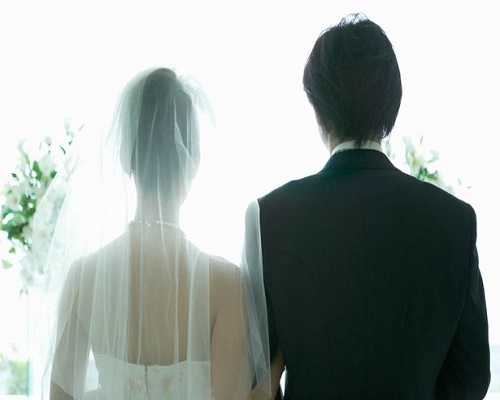 A survey, conducted by researchers at Konkuk University in Seoul, South Korea, examined 7,850 Indonesian women in a long-term population study with the aim of discovering whether a taller male partner had a discernible effect on the happiness of the female. Turns out it does, and the happiness level the woman feels only grows as the height disparity gets bigger. That isn’t a permanent fix for happiness, however. The feeling weakened over time and was gone entirely 18 years later. The next time a celebrity couple splits after roughly that time lapse, eyeball their height difference and see if this study provides insight into the source of their languishing love. “The long period of the dissipation indicates a powerful impact of male height on women’s psychology, probably prepared by evolution,” said Kitae Sohn, who led the research. A big part of the reason that happiness disappeared after 18 years? A depletion of the man’s influence over his wife. No happiness lasts forever, but it’s comforting to know we can give it a boost.